Veteran journalist and author Joseph C. Goulden offers a good review in the Washington Times of retired Air Force General Michael V. Hayden's Playing to the Edge: American Intelligence in the Age of Terror. 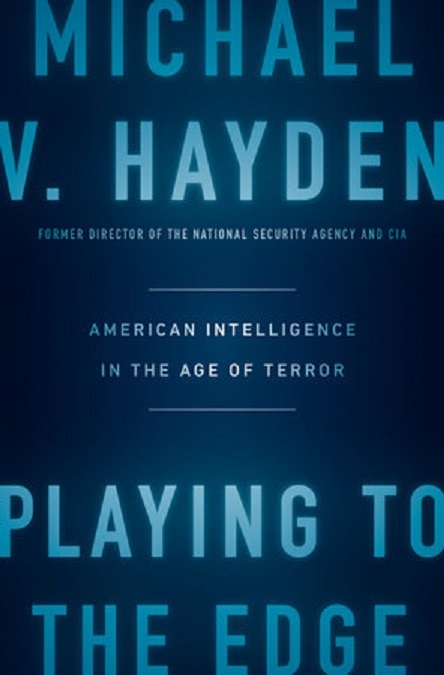 Such was the challenge accepted by Gen. Michael Hayden during a tumultuous decade in the heart of the intelligence community, first as director of the National Security Agency (NSA), then principal deputy director of National Intelligence, and finally, director of the CIA. Gen. Hayden's account is both inspiring and frustrating. Inspiring, because he depicts a dedicated band of men and women determined to devise programs to protect the American public from terrorist attacks both at home and abroad. But also frustrating, chiefly because of the members of Congress who disavowed programs they had previously approved once they were criticized by a reckless media that valued headlines more than protecting sensitive national security measures.